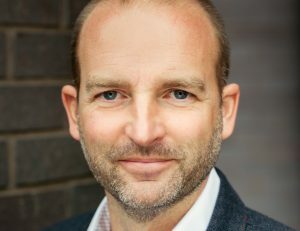 Adrian Bleasdale has been appointed chief executive officer of Manchester Creative Digital Assets (MCDA), the company responsible for managing the Space and Sharp Projects. Bleasdale, who is currently Special Projects Director for ITV Studios, will takes the helm of the newly created company in January 2017. MCDA’s current assets include The Sharp Project, Space Project and One Central Park and Bleasdale will lead the growth and development of strategic creative, digital and production sites across the city. Combined, the sites have in excess of 610,000 square feet dedicated to creative, digital and production businesses. Bleasdale oversaw the relocation of Coronation Street to MediaCityUK and began his career in television production. Susan Woodward, founder of the Space and Sharp Projects and incoming chair of MCDA, said: “Adrian has a track record of business transformation and growth, which is hard to match. Bleasdale added: “I’m thrilled to be leading the team at Manchester Creative Digital Assets. There is a very clear vision to further development, support the growth of the creative and digital sectors in the North and contribute to the economic growth of Manchester. Bleasdale will leave ITV at the end of the year to join MCDA in January.